Dieses 2BR / 2BA Haus auf Piers mit einem 1BR / BA Apartment ebenerdig. Das Haus und die Wohnung können zusammen oder getrennt gemietet werden; Jede Einheit hat einen eigenen Eingang, keinen Zugang von der oberen Etage zur Wohnung. Jede Einheit hat eine eigene Terrasse. Kostenlose Benutzung von Golfwagen. Der angegebene Betrag ist nur für die Vermietung der Upstairs Unit. Wenn Sie nur die untere Einheit oder beide Einheiten zusammen mieten möchten, teilen Sie uns dies bitte mit, wenn Sie uns kontaktieren. Buchen Sie sowohl die oberen als auch die unteren Einheiten für eine Woche und die Kosten betragen 1612 $. 00 plus Gebühren und Kaution. Upstairs Einheit mietet für 961 $. 85 pro Woche plus Gebühren und Kaution. Die untere Einheit mietet für 651 $. 00 pro Woche und hat ungefähr 500 Quadratfuß. King-Size-Bett und ein 27-Zoll-TV, DVD-Player, großes Schlafzimmer und Schrank. Es gibt eine Königin Futon und ein 25-Zoll-TV, Videorecorder, im Wohnzimmer mit einer großen Küche, Es gibt auch, eine Waschmaschine / Trockner, Sonnenschirme, Stühle und Kinderspielzeug für den Strand. Die UPSTAIRS (2BR / 2BA) ist etwa 1100 Quadratmeter und verfügt über ein Schlafzimmer mit einem Kingsize-Bett und TV, VCR. Das zweite Schlafzimmer verfügt über ein Queensize-Bett, TV, Videorecorder, DVD. und W / D. Im Wohnzimmer befindet sich ein Queensize-Schlafsofa. Das Obergeschoss verfügt über ein separates Esszimmer und Wintergarten. Das Obergeschoss verfügt über einen 25-Zoll-Farb-TV, Videorekorder, DVD-Player, Telefon und Highspeed-Internet. Das Oceanside Village liegt nur wenige Kilometer von vielen beliebten Attraktionen wie dem Broadway at the Beach, dem Myrtle Beach Pavilion und den berühmten Restaurants in Murrells Inlet entfernt. In der Nähe befinden sich viele Outlet Malls und Einkaufsviertel. Für die Golfer in der Familie bietet die Gegend viele der besten Golfplätze sowie einen Par 3 Platz und viele Minigolfplätze. Besitzer verlangen, dass Sie mindestens 25 Jahre alt oder ein Ehepaar sind. Kontakt per Telefon ist auch vor der Vermietung erforderlich. Sie können die Verfügbarkeit per E-Mail prüfen (siehe E-Mail-Link unten). Es wird von Ihnen erwartet, dass Sie die Einheiten geordnet halten und in gutem Zustand lassen, ohne Schäden am Haus oder an den Golfwagen zu verursachen. Der Mietpreis beinhaltet bereits eine Gebühr für eine Reinigungsgebühr. Sie müssen nicht extra für die Reinigung bezahlen. Sie müssen Ihre eigenen Handtücher und Papierprodukte einrichten. * Sommermieten Samstag / Samstag. * Der Restbetrag muss innerhalb von 4 Wochen vor dem Anreisedatum bezahlt werden, es sei denn, Sie buchen innerhalb von vier Wochen und sind dann bei der Reservierung fällig. * Vier Wochen Vorankündigung muss gegeben werden, um eine Rückerstattung zu erhalten. * Kaution wird etwa eine Woche nach dem Check-out Datum zurückerstattet, solange keine Schäden am Haus oder Golfwagen sind. * Es gibt eine Gebühr von 50 $, wenn Sie das Haus nicht verlassen haben und bis 11:00 Uhr am Abreisetag ausgecheckt haben. Bitte beachten Sie den nächsten Mieter kommen und pünktlich verlassen! Sie müssen bis spätestens 11.00 Uhr am Abreisetag aus dem Haus sein, damit die Reinigungsmannschaft kommen und das Haus für die nächsten Mieter vorbereiten kann. We stayed for the first time at this house this summer. It was a great place to stay. The house was clean and we had everything we needed. The owners are so kind and always answered any questions we may have had. We rented both the upstairs and downstairs and both units were equally nice. The pictures do not do this home justice. Oceanside Village is a wonderful place to stay if you are looking for a less crowded, clean, and relaxing vacation in Myrtle Beach. It has plenty to offer to keep kids and adults entertained. We really loved the playground, ponds, pools, basketball courts and tennis courts. We are looking forward to staying in this beach house again next year and hopefully for many years in the future! We, were so lucky too have these guest, they sent us a picture of them so we could put a face with a name, what a beautiful family. We didn't have a cleaning lady that week so we asked if they would too clean at check out they said we clean before we leave anyway so that was a life saver, so we gave them their cleaning money back. Wish we had more guest like them. Great place to stay for a family. The owners were absolutely great to work with. Enjoyed our stay! Thank you! Still a great place to stay! My family and I have stayed at this house several times now. We've rented both up and downstairs most of the times we've been there. Both are great! It's nice to have the option of renting both together or one or the other separately. The house has everything you need to enjoy your vacation. We always have a crowd and there is always plenty of room. The owners are awesome to work with, maintain their property well and go out of their way to ensure you are comfortable in their rental. The Village is also well maintained and secure. WE LOVE THIS PLACE SO MUCH WE HAVE BEEN STAYING HERE ALMOST 20 YEARS!! We love this beach house and recommend it over and over again! Jerri and Ralph are so nice and wonderful property owners. We have stayed with them for almost 20 years and love it more each year. I love calling Jerri and talking with her when we book the house. Once our week comes, we go to the beach house and it always feels like our home away from home. We never want to leave. The house is very clean. We love to cook while we are at the beach and the kitchen has everything your kitchen at home has. The beds are nice and comfortable and they have great TV to sit back, relax and watch. The kids enjoy the golf cart ride to the beach as much as the anticipation of the day at the beach. Oceanside Village is family oriented and with it being in Surfside it is not as crowded as some beaches. But there is still plenty to do since you are conveniently located to restaurants, shops, entertainment, etc. We love it and look forward to staying again this year. This was our 2nd trip to Oceanside Village and our first stay at Surfside by the Sea II. This visit was a wonderful experience. We rented both the upstairs and the downstairs apartment for the entire week. The owners were a pleasure to work with and responsive to all questions and concerns. We had one issue with one of the golf carts early in our stay and the owners had it repaired within hours. They went above and beyond our expectations with everything. My parents enjoyed being able to retreat to their apartment downstairs when the kids got to be too much, but were close enough to join us for meals and other activities. Only critiques would be that perhaps the golf carts could be newer, but they served their purpose and got us to and from the beach with ease and around the community. A bigger gas grill would be optimal as well as we had to cook a few meals in shifts as the charcoal grill wasn't quite big enough. My Sister & I, with my daughter, 16, my granddaughter, 7 & her two grandchildren 14 & 6, stayed here last week, in the upstairs apartment & we absolutely Loved It!! No complaints whatsoever!! Everything the ad said is true & more! The Owners are fabulous to talk to & work with! The Oceanside Village is very secure & homey feeling at the same time. It is very family oriented with the 2 pools, playground & etc. It is very clean!! Just about everyone gets around in golf carts, which the owner of this property provided! It is just awesome there, the apartment, the village, the assessability to the ocean & the security!!! We couldn't have been happier!! Thank you Very Much for a Wonderful Vacation!! 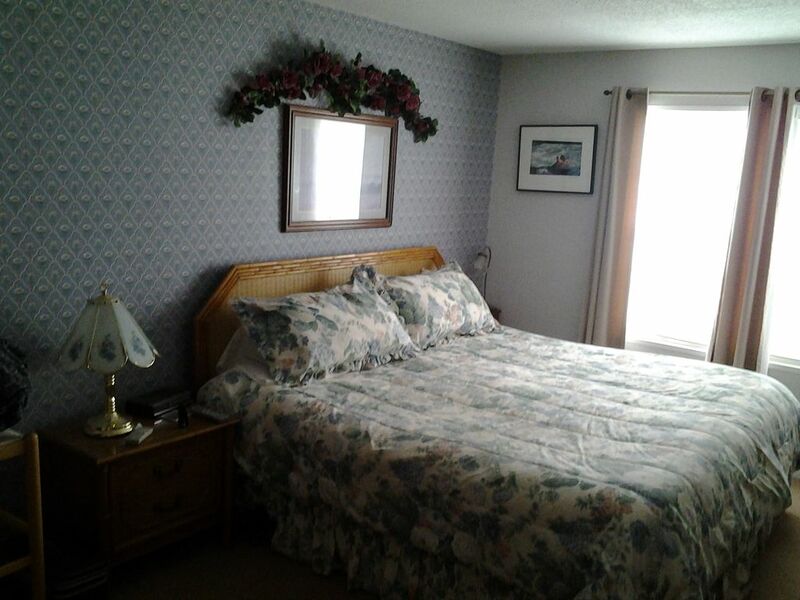 We have a ground level apartment that accommodates 4 people. Summer months $723. This includes all taxes and cleaning fees as well as the rental of 1 golf cart. Upstairs unit accommodates 6 people and rents weekly for $1063.85. This includes all taxes and cleaning fees as well as the rental of 1 golf cart. These 2 units can be rented separately or together for the combined price of $1786.85. The combined price includes all taxes and cleaning fees as well as the rental of 2 golf carts. Off season rates are less expensive.